If you have any questions about litigating a claim for damages resulting from any type of vehicle accident, contact Powell Law. If you have any questions about litigating a claim for damages caused by a defective product, contact Powell Law. Our decades of experience make it the clear and obvious choice to meet all your legal needs, especially for representation in personal injury matters in the Scranton/Wilkes-Barre area. While traffic accidents may have decreased in the last ten years, they are still the leading cause of severe, disabling personal injuries in the United States with an annual economic cost in the hundreds of billions. Thus, there is a constant demand by consumers for manufacturers and designers to monitor their products and make dramatic improvements to motor vehicle safety when such changes are necessary. Consumers have a part to play as well and must report any defects to manufacturers so they may remove vehicles with defective parts or systems as soon as possible from our nation’s roads and highways. The National Highway Traffic Safety Administration (NHTSA) has authority to issue vehicle safety standards and require manufacturers to recall vehicles that have safety-related defects or fail to meet Federal safety standards. 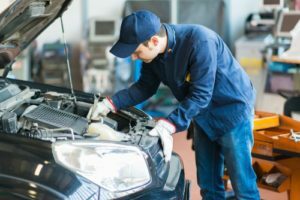 Federal law defines a defect as “any defect in performance, construction, a component, or material of a motor vehicle or motor vehicle equipment.” Thus, a safety defect is a problem that exists in a motor vehicle or motor vehicle part or equipment that poses a risk to motor vehicle safety. Such defects may exist in vehicles of the same design or manufacture, or parts or equipment of the same type and manufacture. Examples of safety-related defects include problems with wheels, steering, fuel system, and other critical components that affect vehicle control and susceptibility to crash damage. Accelerator controls that may stick; defective engine cooling fan blades that cause injury to service personnel; faulty windshield wiper assemblies; and seats and/or seat backs, airbags, child safety seats that do not operate properly are other examples of safety defects. Once a manufacturer discovers a safety defect, it must notify NHTSA, owners, dealers, and distributors. If a recall of the product occurs, the NHTSA is responsible for monitoring any corrective action to ensure its success. The manufacturer must remedy the problem or issue at no cost. For consumers who believe that their vehicle or any part or equipment therein may have a safety defect, it is necessary to report it to the NHTSA to remedy the situation and improve road safety. The NHTSA provides three methods of filing complaints about motor vehicle safety defects: phone, online, or mail. Any information provided by consumers is entered into the agency’s consumer-complaint database and evaluated by the NHTSA. Automakers may be liable for injuries or deaths caused by defects in the automobiles that they manufacture. If you or a loved one has suffered any type of injury resulting from any type of accident, contact Powell Law at (570) 961-0777 or visit us online. The attorneys and staff of Powell Law carry on the work of a law firm that spans generations and has represented thousands of Pennsylvanians over a period of 113 years. The consultation is free and you don’t pay any fees unless we win your case!